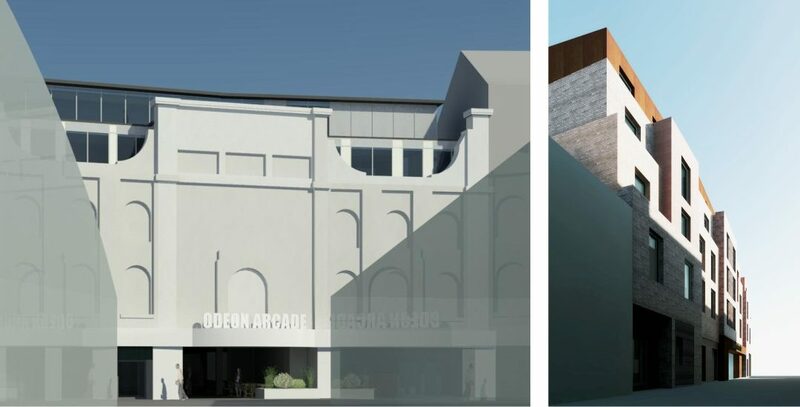 Planning Permission was achieved in 2015 for the redevelopment of a former cinema in the centre of Leicester. The scheme provides 100 self-contained student flats arranged around a courtyard whilst preserving a traditional façade on one side of the development. Redevelopment of a plot of land currently containing garages into 4no. flats (2no. 2-bed and 2no. 3-bed), all with generously sized rooms and private balconies. Studio Four were asked to design a contemporary block of residential flats with ground floor commercial premises on a challenging site within the old part of the City.